What people want from their buildings is changing. And that means, increasingly, space creators must also be space curators. The Property Council of Australia recently spoke with with Tony Byrne, Mark Landini and David Caffery, three space curators. 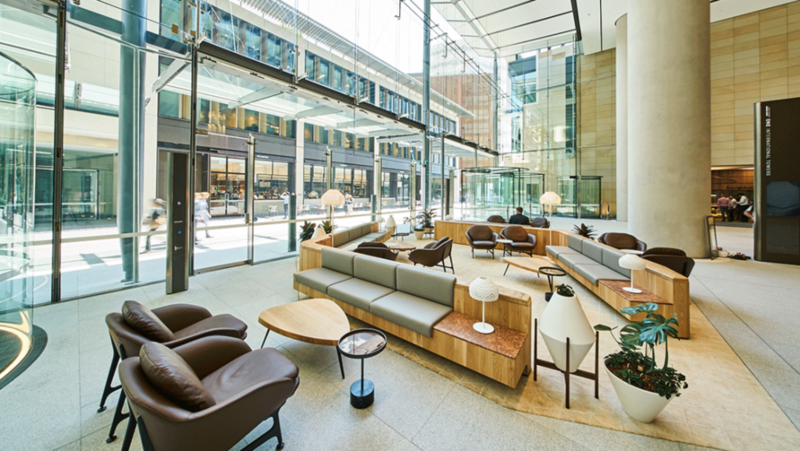 Today’s commercial building – whether an office or a retail centre – is no longer just bricks and mortar. It’s also a platform for engagement, collaboration and cultural exchange. A host of influences, from travel and technology to sustainability and the health and wellbeing movement, have expanded consumer expectations, while also enabling landlords to customise their spaces like never before. In this environment, the attractiveness of an asset is dependent on the richness of the experience it offers. As the general manager for International Towers, Tower Two and Tower Three at Barangaroo South, Tony Byrne is taking a curated approach to tenancy, selecting diverse organisations with aligned views around innovation, sustainability, collaboration and community. Byrne doesn’t see the International Towers team as curators, but custodians of the space. They are cultivators of a new business ‘ecology’ – an enterprise community model that aims to inspire innovation, interaction and to blur boundaries between teams and even other organisations. The “psychology of the space” is an important driver of collaboration and community, not to mention innovation, Byrne says. At International Towers, this means visible gathering places, transparent meeting rooms and shared stairways between floors and tenancies. Among the tenants currently on Byrne’s books are: KPMG and its recently-opened Innovation Lab; law firm Gilbert + Tobin; global reinsurer Swiss Re; Westpac; and Lendlease. Other tenants under the new curated tenancy model include the Green Building Council of Australia and world leading indigenous dance company, Bangarra. Curating this community is about more than open plan offices. Byrne says sustainability is a shared value of all the tenants, with each committing to achieve a 6 Star Green Star rating for interior fitouts. “The mere culture of a 6 Star rating means our tenants are thinking about their footprint, the world they want to be in, their neighbours and the people they want working for them,” he says. Curation also means bringing together unlikely groups, and helping them to forge new connections. Retail design specialist Mark Landini says curation is something of a buzzword, but the concept has been around forever. “Really, it’s just about understanding and then helping people”. Landini points to Selfridges, which customised its product offerings more than a century ago, and Aldi, which “curates everything they sell”. “There is a big difference between places and spaces”, says David Caffery. Caffery leads Dionysus, a place-making company based in Canberra. He’s also the cultural curator for the Molonglo Group, and the mastermind of the Art Not Apart festival. “People love to be in buildings that speak to them, but not enough developers think about that,” Caffery says. Plonking an artwork in a building is not curation, Caffery warns. “And when places are valued by the community, they are more financially valuable,” he adds.